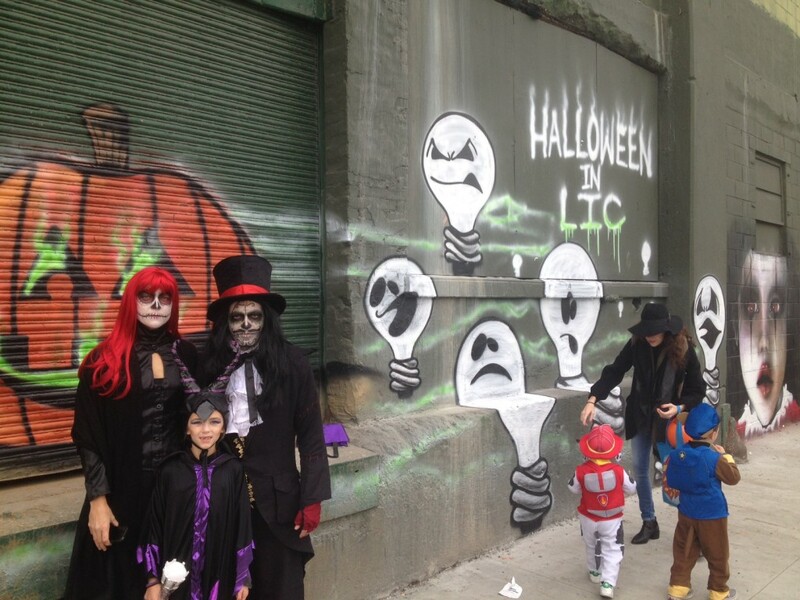 It’s going to be another week of declining NFL ratings, as the annual LIC Halloween Parade takes place this Sunday. It starts at 2:30 and convenes in front of the 108th Precinct House on 50th Avenue, where all children will be biometrically scanned and catalogued to ensure a smooth transition through teenhood, After that the mayhem begins, and will include: a pumpkin patch, photo booth, dunk tank, spooky games, costume contest, and candy. But wait, there’s more: This Saturday, October 29, is the PS/IS78Q PTA Fall Festival from noon-3pm on Center Boulevard between 48th and 49th Avenues, where there will be lots more Halloween fun for kids. Best of all, there are still opportunities for adults to feel good about LIC because the PTA needs volunteers to help run the games, food, face painting, etc. Yeah that’s right, you can knock out your annual civil duties in one fell swoop by volunteering. In fact, doing so will even absolve you for not voting the following week – just let everyone know you got spooked. Plus, volunteering for 90 minutes is a heckuva lot easier than actually having to be on the PTA – I mean all these events don’t just happen. Then of course comes the actual holiday itself on Monday. No it won’t be a long weekend for the kids, as Halloween is the one holiday of the year that the NYC public schools don’t have off, but it will be an extra day for kids to gather candy. Just like the squirrels in Shady Park, I hope they put enough away to make it through winter. Paper Factory Hotel Hosts Haunted Masquerade Party This Friday – presented by Junxion, it goes until 4am, what more do you need to know?